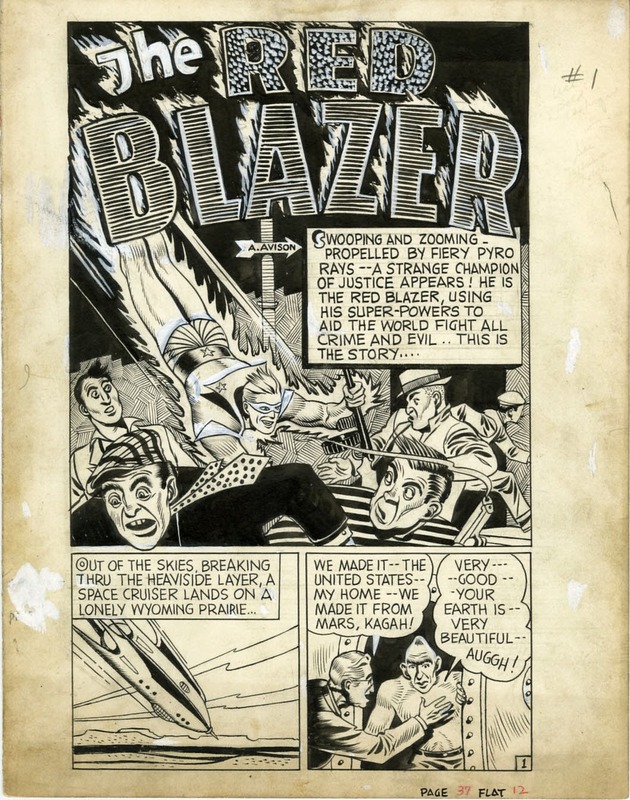 Kleefeld on Comics: The Red Blazer! 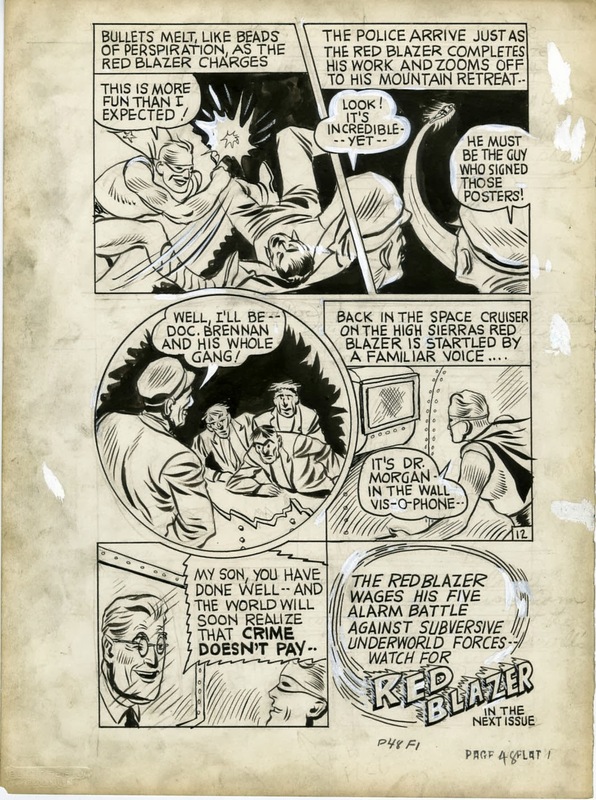 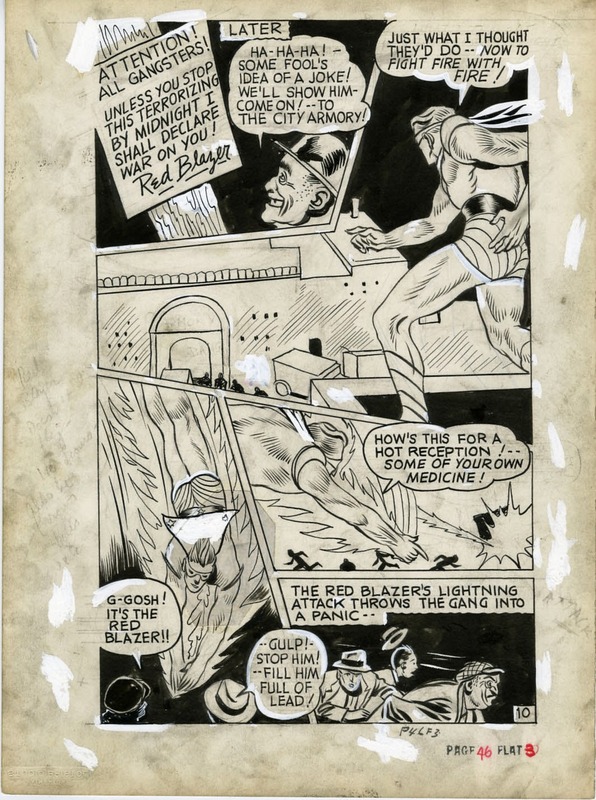 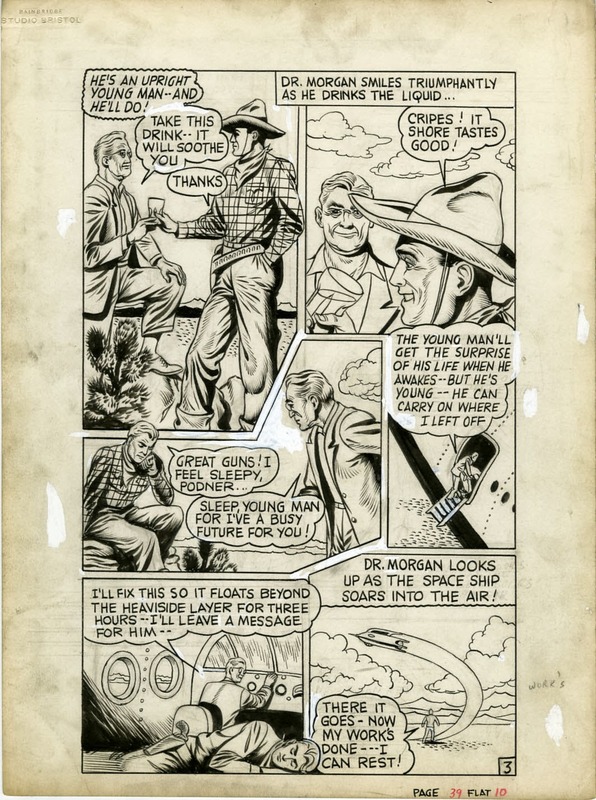 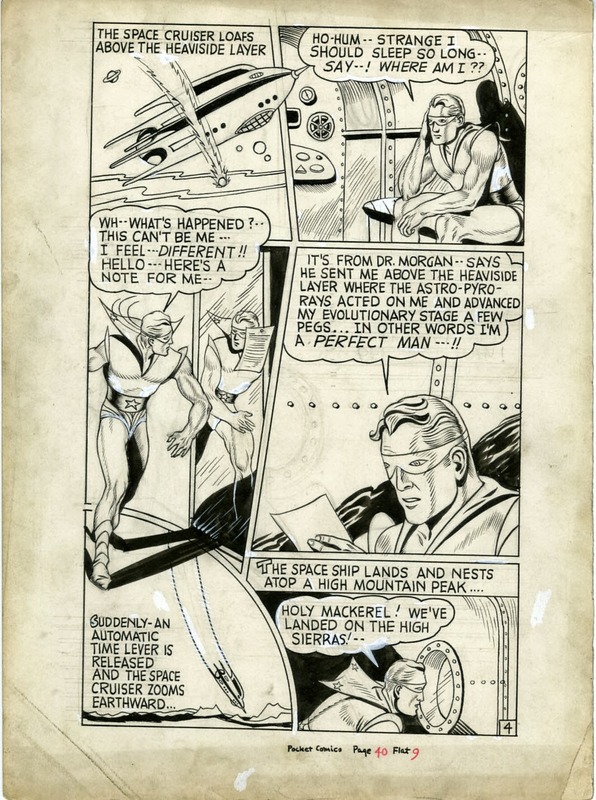 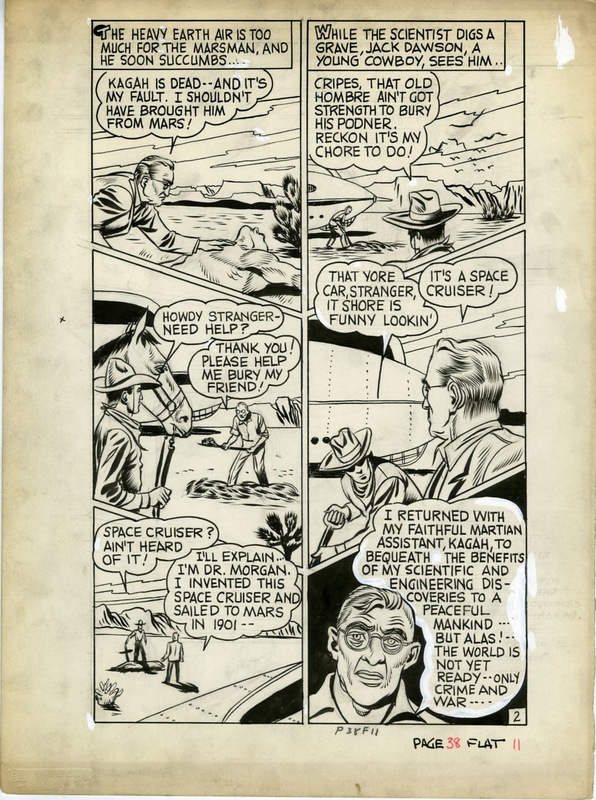 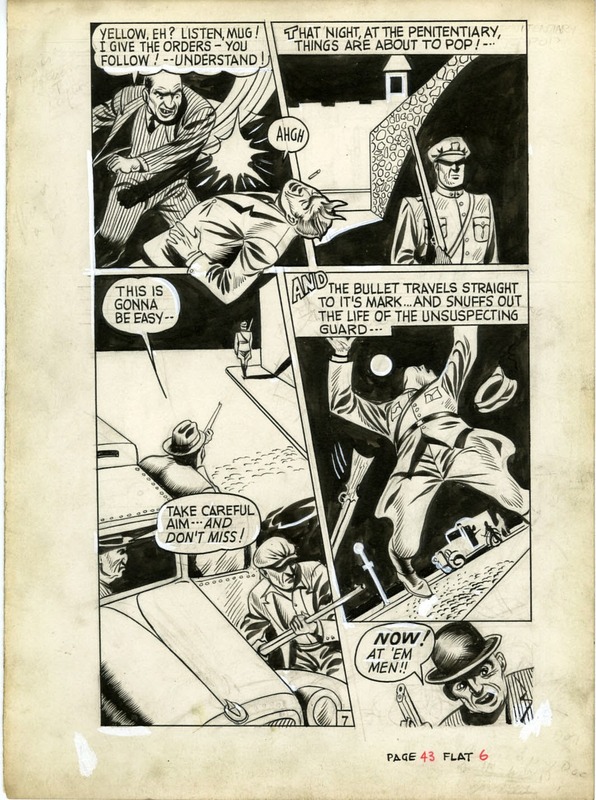 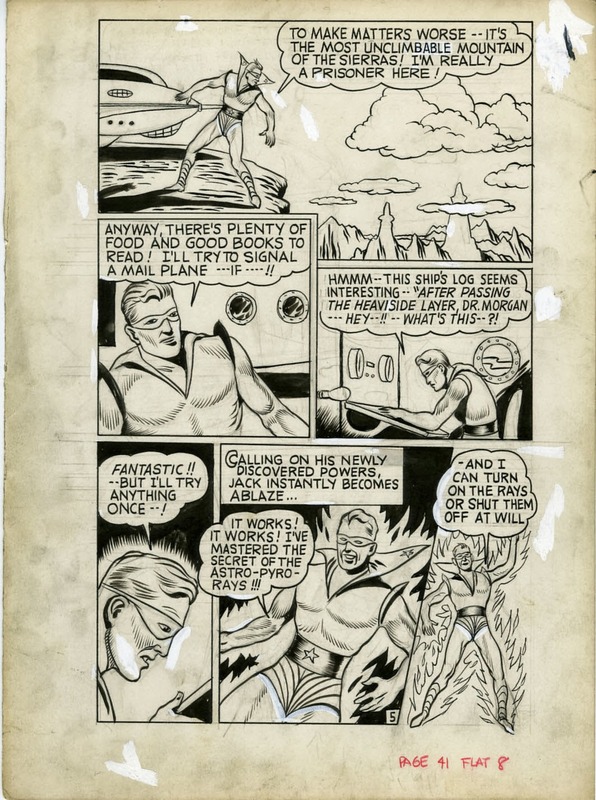 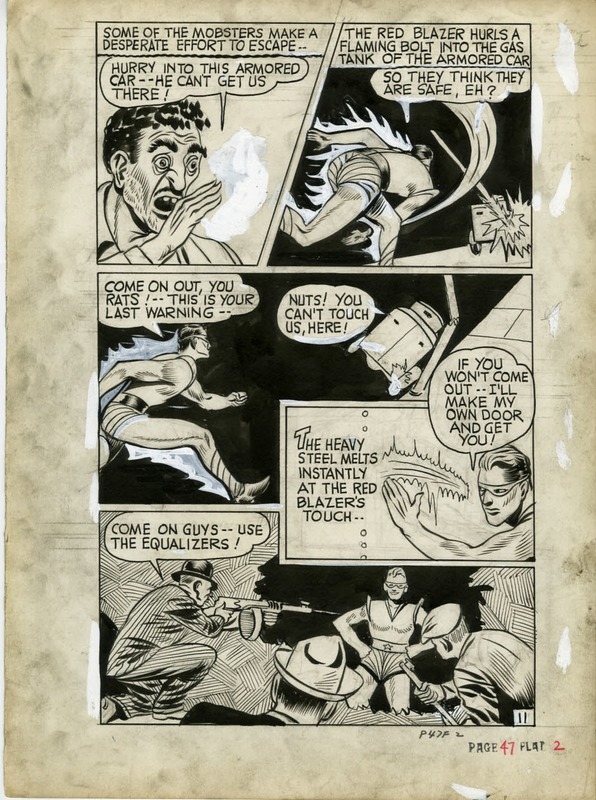 Here's the original art from "The Red Blazer" from Pocket Comics #1 (currently up for sale on ebay). 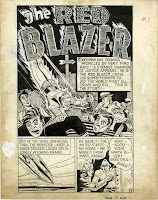 Not only is the first appearance of the Red Blazer, but it's the very first Harvey Comic. 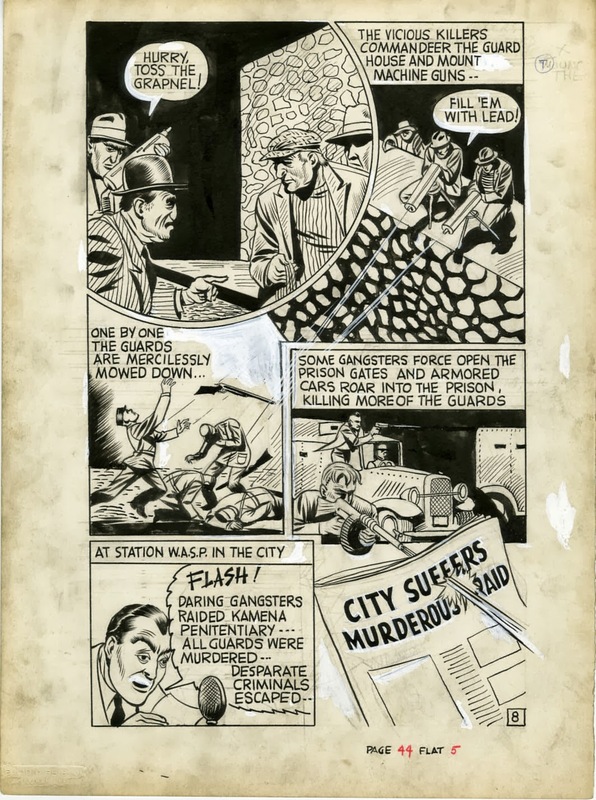 It's also one of Al Avison's first published works, if not the first published work from him. 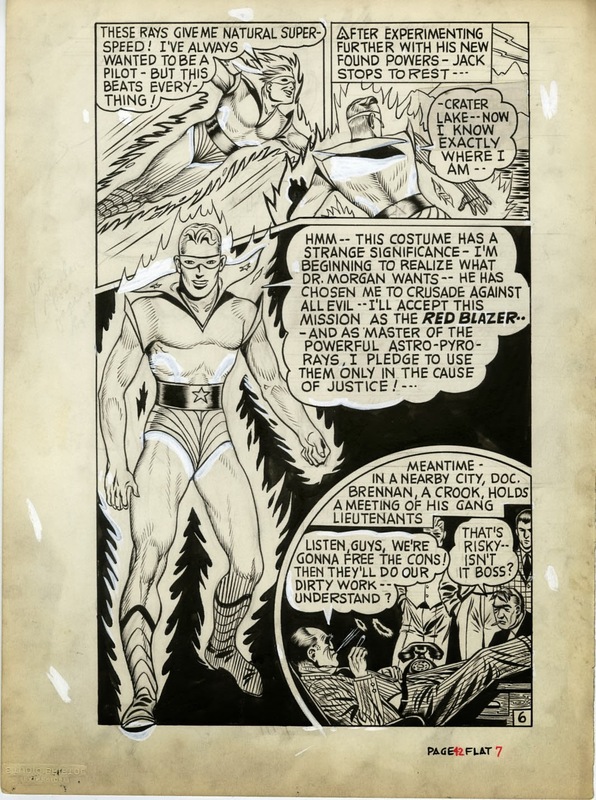 The story is from 1941 -- two years after the debut of the Human Torch and The Flame -- and bears all the hallmarks of a superhero comic of that era (i.e. 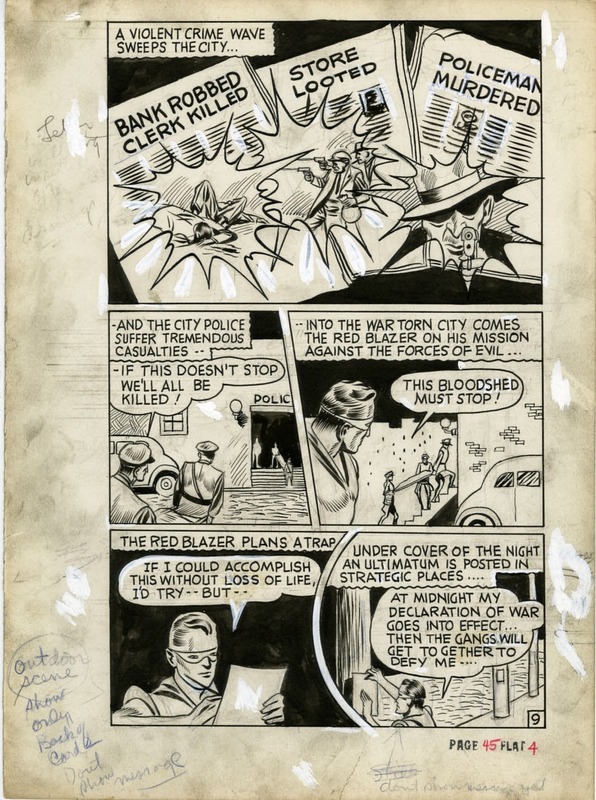 it's not all that good) but it's amazing to see the whole story in its very original form.